They’ve finally arrived…..just in time for Valentine’s Day! We’ll let you fill in the blank however you please, but supplies are limited, so we suggest you fill it fast! And fyi, we’re willing to go the extra mile (literally) to earn your love. If you’re stuck in the office and need a Valentine’s treat (Wildfox tee, Tarina locket, Converse love chucks), email us your request at info@twoelle.com, and we’ll have it delivered to you! Want us to do all the work for you? Well, friends, ask and ye shall receive! Rachel’s brother Mikey just received his grad school acceptance letter, and she wanted to congratulate him with a new pair of chucks. Fearful that she’d select the wrong color, she gathered all the options that we have in stock in his size and sent him the picture you see above so that he could select. The good news is, though, that you don’t have to have the same last name as Rachel to merit such special treatment! Give us a call (615.269.9954), drop us an email (info@twoelle.com), IM us (twoellerabbit), or tweet us (@twoellerabbits), and we’ll do the same for you! And fear not, Valentine’s ideas are on the way…. Once upon a time, there was a man, with one red shoe. 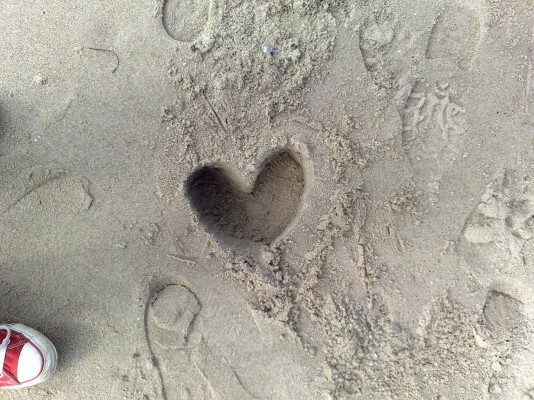 The tide came in and washed his heart away. During this wintry weekend, while all of you were out playing in the snow, Becca and Rachel were doing a little spring cleaning. Not only did the cleaning provide for colorful photo opps, but it also helped us uncover some treasures that we then put on sale. 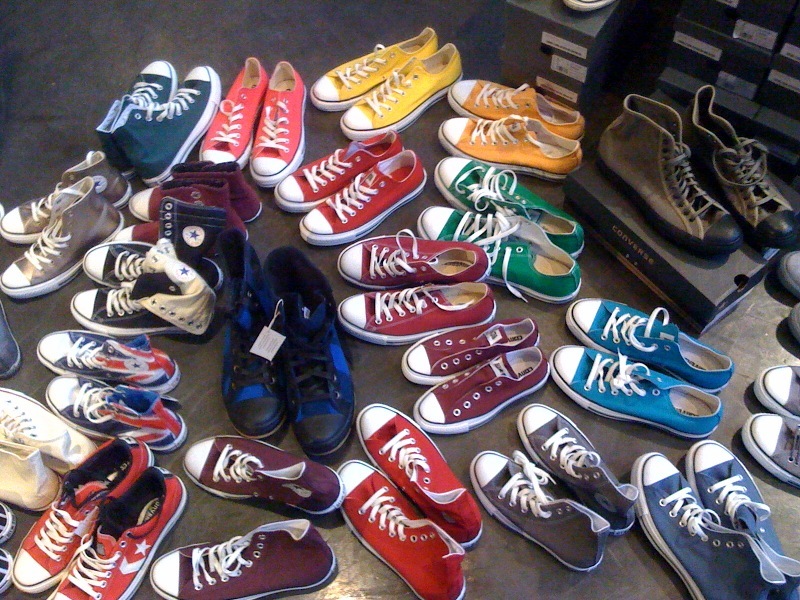 Did your favorite chucks make the sale cut? Now that the snow has melted, you should drop by and check it out! 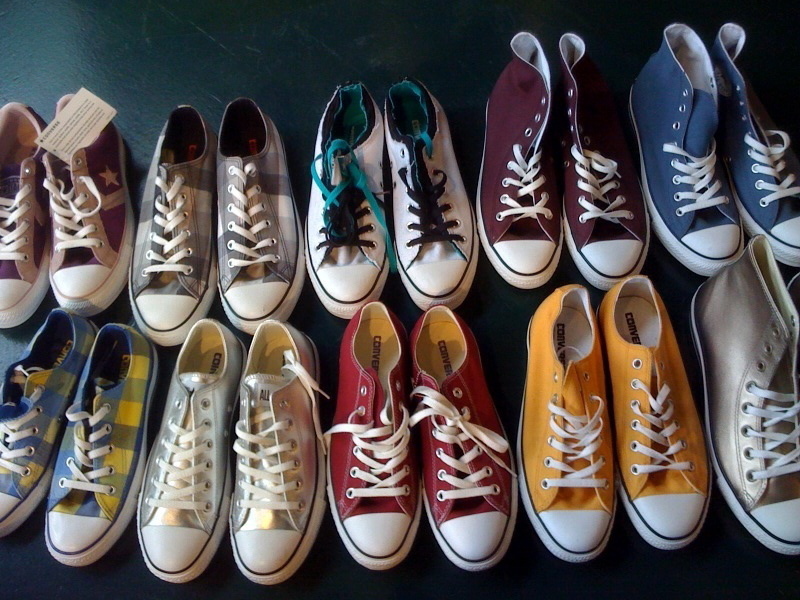 And don’t forget we’re still accepting entries in our Converse Contest. 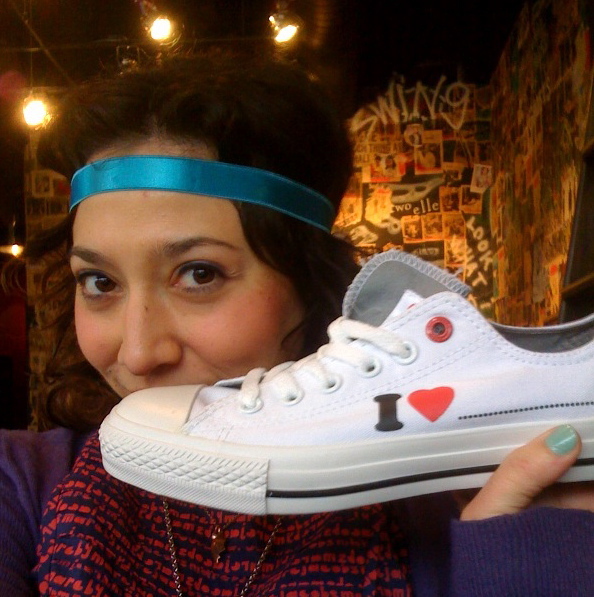 Click on the Converse tab on the right to read about the contest, see what stories have been told, and then tell us where your chucks have taken you! While I still call Nashvegas home, a tiny town in North Carolina called Winston-Salem (more affectionately known as “The Dash”) is where I spend most of my year as a college student at Wake Forest University. Upon first introduction, I am not what would appear to be a stereotypical sorority girl. However, second semester of my freshman year, surprisingly, one called my name, and I became a member of the Rah Rah-ing, girl bonding, chuck wearing sisterhood. My ears instantly perked up when I heard about the tradition. 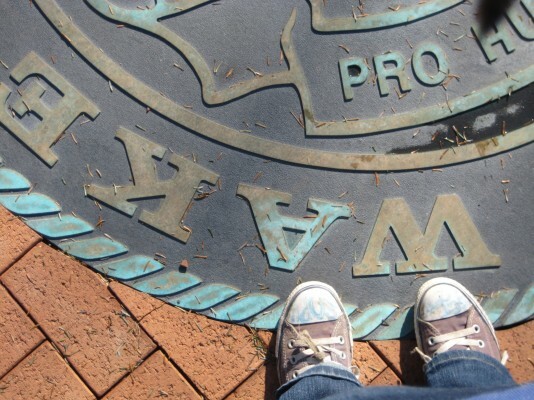 Stemming from the local sororities that used to dominate Wake’s campus, all girls affiliated with Greek life wear Chuck Taylors in their sorority’s colors with writing on the toes. On bid day, I laced up my new navy blue chucks, scribbled on the toes, and trembled with the fear that I wouldn’t find my place amongst the Glamazons I was now forced to call my “sisters.” Since then my Converses have turned a rather unfortunate shade of purply-gray after a much regretted splash in a fraternity pool but that doesn’t make them any less comfortable. They’ve seen their fair share of late night dance parties, early morning study sessions and treks across the mud-filled quad with girls who I’d mistakenly thought were so intimidating. My old faded blue chucks have taken me on a three year journey of higher education outside of the classroom — I’m just hoping they make it to graduation without disintegrating!